With Auto-Lektor, you can read as simply as you want; or you can access all the diverse, distributed sources of news and information, and once you’ve found the information, you can keep what you want and leave the rest. Read a text and email it to yourself or someone else. Subscribe to streaming radio on the internet. Read news. Read weblogs. Get access to information easily – and keep your computer for the other tasks, or don’t use a computer at all. Read it. Keep it. Stay in touch. Where is all the information in the 21st century? You can get some from a book or newspaper or magazine, and you receive printed flyers and letters in the mail; and where does the rest of our current information come from? It can be on a CD or DVD that comes with a magazine; it can come from blogs and news sites on the net; from RSS feeds; from emails and mailing lists and online forums – from almost anywhere. 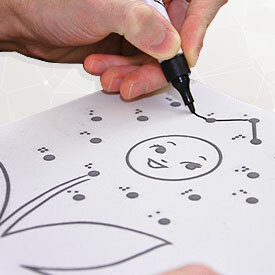 As soon as you connect Auto-Lektor to the power and to the internet, it offers a very wide range of uncomplicated information access, from easy reading of printed text to playing MP3 files. You can even have multiple languages installed and use them together. Auto-Lektor can help you build and keep your library, and keep in touch with the news. The Auto-Lektor Click is a simple yet powerful portable text to speech reading assistant. 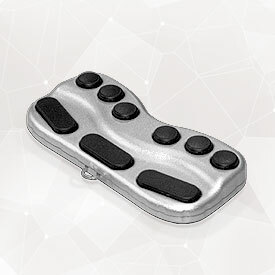 It is a stand-alone and compact device with all the controls built into it. You can plug it into the power outlet or take with you and run it on the battery. 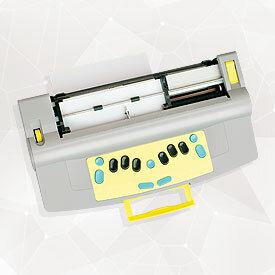 Auto-Lektor is a single unit, with an easy-access side-opening scanner, front panel keyboard and readily accessible power button, volume control and headphone socket. The integrated keyboard has Braille labels. 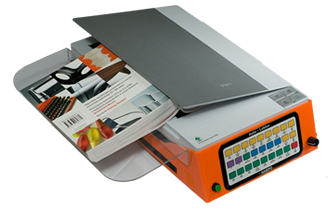 Auto-Lektor comes with a detachable side-mounted shelf, to support large books and magazines for the most accurate scanning. 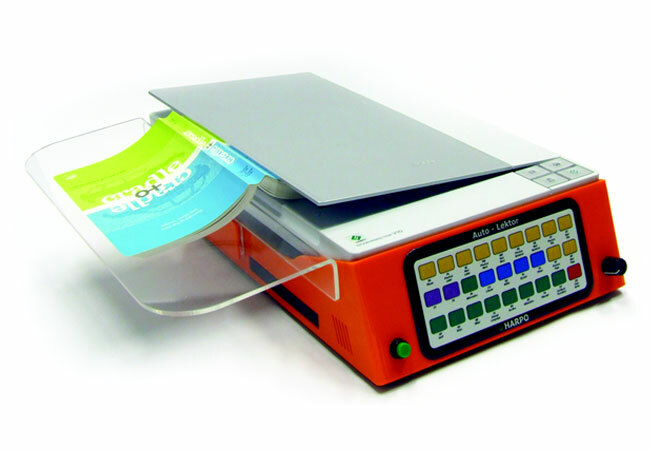 The integrated optical drive reads and writes CDs and DVDs; you can read text from a CD or DVD, or you can save text to either type of disk. You can also play music from a CD or DVD. Auto-Lektor’s USB ports give you the ability to transfer text to and from your Auto-Lektor, and to listen to music from your pen-drive or suitable MP3 player. The ethernet connection lets you access your reading material from the internet – web pages or RSS feeds, and you can also listen to internet radio stations. While you are browsing web pages, with an external keyboard you can edit form fields on web pages – enter search terms on a search engine, or on Wikipedia, for instance. You can receive, read, reply to and send email. Auto-Lektor also allows you to save emails for reading later, or to use email as a save destination – you can scan and read a journal and then email the text to yourself or someone else. You can connect an external PC keyboard via USB or PS/2. 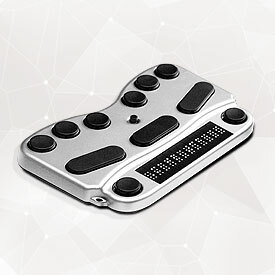 Auto-Lektor comes with integrated Bluetooth, so you can connect your BraillePen and use it as a fully-functioning external keyboard; BraillePen12 access (including Braille display output) is under development. Use the integrated headphone socket or the built-in stereo speakers to read text, browse the web, read RSS newsfeeds or listen to the radio or to music. What connections and additions are there? Connect to a network and to the Internet via Ethernet using a standard cable, and browse the web or read and send email immediately. Use the four USB ports to connect a keyboard, a USB text source such as a pen drive or smartphone, or a USB audio source such as a pen drive, smartphone or MP3 player. Connect external speakers using the audio ports; connect headphones using the headphone socket. What kinds of things can I read? 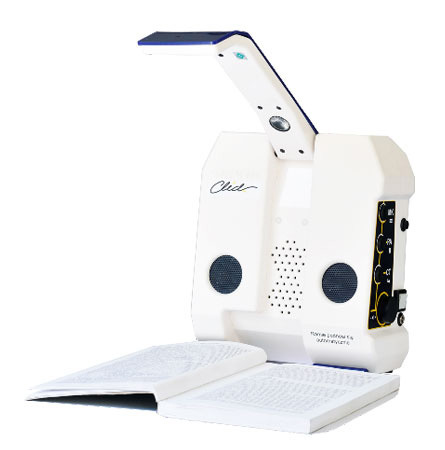 Auto-Lektor can read scanned text: books, magazines, newspapers, leaflets – anything that can be scanned. Any text that you have saved locally can be read again – saved files on the Auto-Lektor’s internal hard drive, text from a USB device such as a pendrive or a USB hard drive or text from a CD or DVD. Digital text in the following formats: .txt, .pdf, .doc, .docx, .rtf. You can also bring down content from the Internet – RSS feeds or Web pages. Audio! What kinds of things can I listen to? Auto-Lektor comes with a list of Internet radio stations, which we update regularly – so you can listen to the kind of music or talk or news you like, anywhere in the world. While Auto-Lektor is scanning and recognising, you can be listening to the radio! 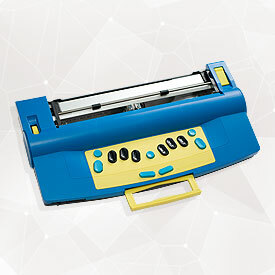 You can also use Auto-Lektor as a CD player – either an Audio CD or a CD containing MP3 files – and you can connect a suitable MP3 player using one of the USB ports. Where can I build my text library? You can save any text you read, no matter which source you used, to the Auto-Lektor hard drive. The hard drive has a capacity of 250 GB at the time of writing, which will give you space for many, many thousands of pages of text. You can also save to a USB device such as a pen drive, a smartphone or PDA with USB data connectivity, or a USB hard drive. You can burn file to a CD or a DVD. Auto-Lektor writes multi-session disks, so you can save to the same disk many times, and copy the files to a PC at any time. And you can email text to yourself! 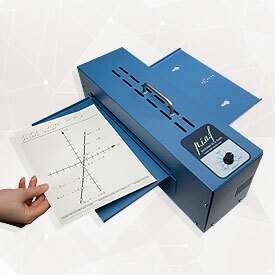 What are Auto-Lektor’s operational parameters? The text is available in the buffer, able to be read, 20 seconds from the end of the scan. A scan takes 47 seconds. 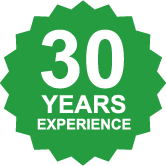 Auto-Lektor’s average recognition accuracy is: 99% of words correctly identified. There are several control devices to choose from: use the integrated keyboard, or use an external PS/2, USB or Bluetooth® Braille keyboard. Auto-Lektor’s dimensions are 460 x 280 x 135 mm; the width changes to 430 mm when the detachable shelf is installed.Auto-Lektor weighs 5 kg.